Fundraiser lasts all day during open hours, 11am-9pm! 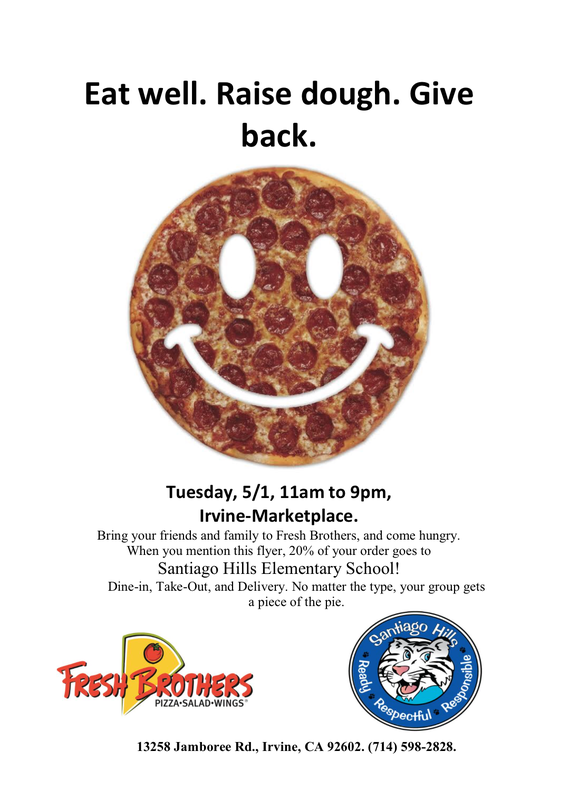 Enjoy great pizza for lunch or dinner and support our PTA at the same time at Fresh Brothers (Marketplace) on Tuesday 5/1 at 11:00am-9:00pm. Dine in, take out or call for delivery. Make sure you mention the fundraiser and present the flyer on your phone. 20% of your total purchase will be donated to PTA. Enjoy!